The most anticipated reality show of the year is back on our screens! “I’m a Celebrity...Get Me Out of Here” has returned for its thirteenth series and I for one could not be more excited. The celebrity line up is already half decent with the likes of Joey Essex and Alfonso Ribeiro- ‘90’s kids rejoice! The episode began with Steve Davis proclaiming himself as the ‘most interesting man in snooker’ and Lucy Pargeter worried about bugs making their way up her noony- a flying start to this years entertainment....enter Joey Essex claiming that he is not the type of person to confrontate and Alfonso Ribeiro who seems to introduce himself to everyone as ‘Carlton from The Fresh Prince of Bel Air’. An unlikely bunch, but they were proving to be most entertaining, when Ant and Dec dropped the bombshell that they were to be split into two teams and were competing for the other celebs. Cue the desert island race for the ultimate dream team. Joey and Steve race together and one by one pick Rebecca Adlington, Amy Willerton and Laila Morse, chosen for their fitness and strengths- definitely a team of champions. This left Lucy and Alfonso with Kian Eagan, Matthew Wright and David Emmanuelle. The team fronted by Steve and Joey made it to the Luxury night on a yacht while Alfonso and Lucy’s team had to slum it deserted on the island. Barely half an hour into the series and we’re already off to a flying start. 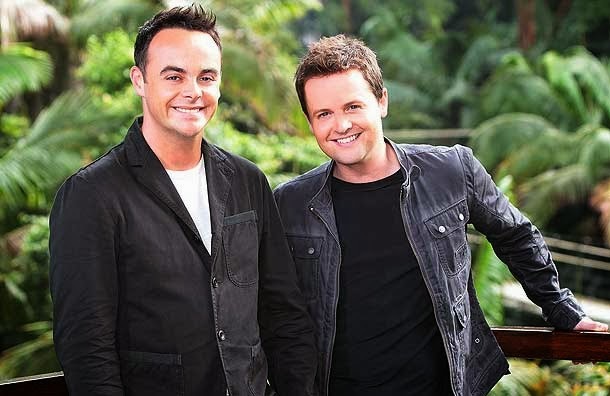 The next morning, it’s time for the campmates to finally get to their camp, they’re making their way through the jungle but instead of a welcoming campfire and readymade camp beds, Ant and Dec are there to introduce the first Bushtucker Trial of the Series. You’d think that the Dream Team with the fittest and apparently most competent members would dominate this task but it’s the underdogs that proved their worth and kicked this competition up a few notches. Both teams seem equally capable and up for the challenge making this series one to watch. Then came time for the public vote, it was no surprise that Joey was chosen- as someone who is famous for being famous, the public feel the need for him to prove himself- that combined with the poor lad’s intelligence, it’s bound to be television gold. His competitor is resident cry baby Matthew Wright, proving that the audience love a weakling and making grown men cry. God, we’re a vicious lot. Joey’s introductory tape. Bless him. Rebecca’s bashful introduction to Kian - Westlife fans all around were blushing with her. Matthew Wright...he’s either going to be really annoying or brilliantly entertaining, there is no in between. Although his confusion and optimism at being picked for the winning team was the funniest thing on television. Ever. Ant and Dec. Let’s face it, they’re the real reason we all watch this every year. I'm a Celebrity continues Wednesday at 9.00pm on ITV.